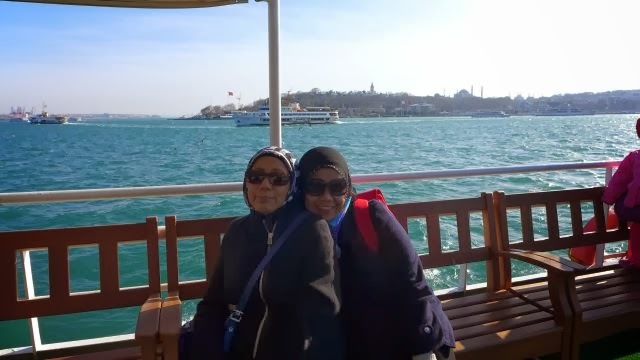 Our last day in Istanbul today before going back to KL tomorrow. We started off a bit late today at 9.30am. 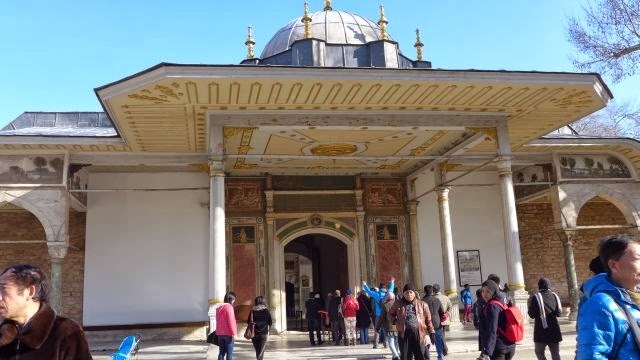 Our first destination today was Topkapi Palace. Burak provided us with a radio receiver so we could listen to his explanations within a few hundred metres range. This was a good arrangement, so perhaps next time Burak could use it for the whole trip. A bit on Topkapi taken from Wikipedia: It was originally called the New Palace (Yeni Sarayı) to distinguish it from the previous residence. 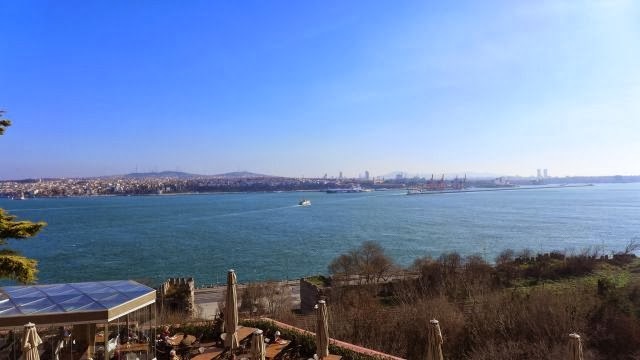 It received the name "Topkapı" (Cannon Gate) in the 19th century, after a (now lost) gate and shore pavilion. 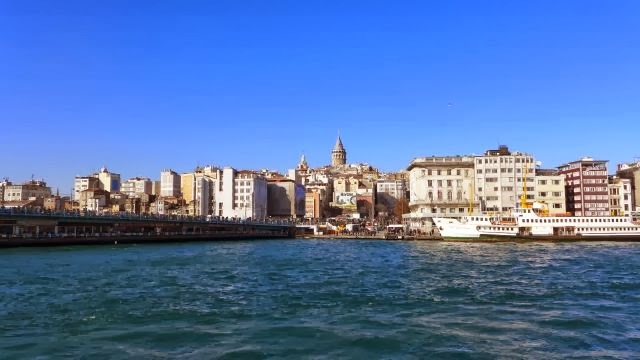 It was the primary residence of the Ottoman sultans for approximately 400 years (1465-1856) of their 624-year reign. 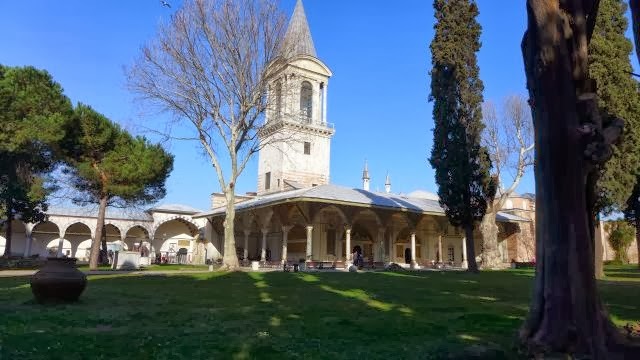 The Topkapı Palace is among the monuments contained within Unesco's Historic Areas of Istanbul. 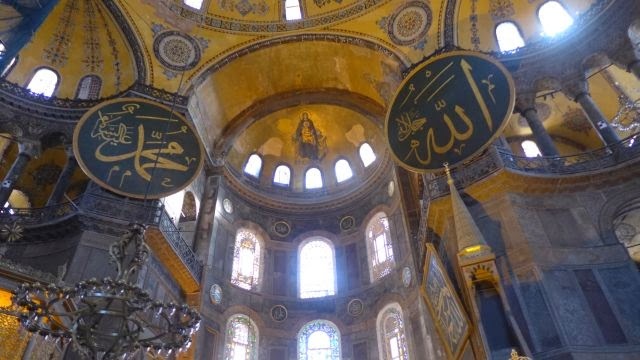 It now contains important holy relics of the Muslim world, including Muhammed's cloak and sword. Boy, people back then were really huge in size, judging from the clothes on display. At its peak, the palace was home to as many as 4,000 people, and covered a large area with a long shoreline. 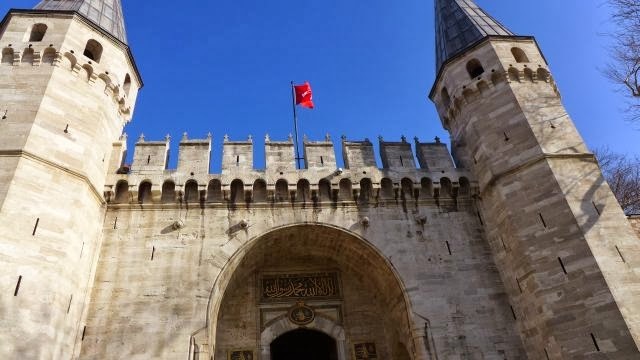 It contained mosques, a hospital, bakeries, and a mint.Construction began in 1459, ordered by Sultan Mehmed II, the conqueror of Byzantine Constantinople. There was also the Imperial Harem which contained more than 400 rooms for the sultan's mother, the concubines and wives of the sultan; and the rest of his family, including children; and their servants. 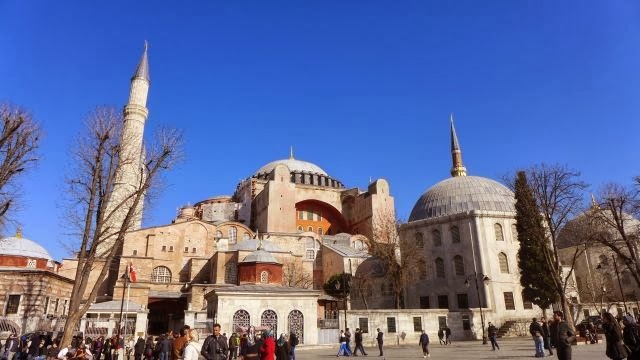 From Topkapi, we walked to the Aya Sofya museum, also known as Hagia Sophia which means Holy Wisdom, also a Unesco Heritage Site under #356 Historic Areas of Istanbul. 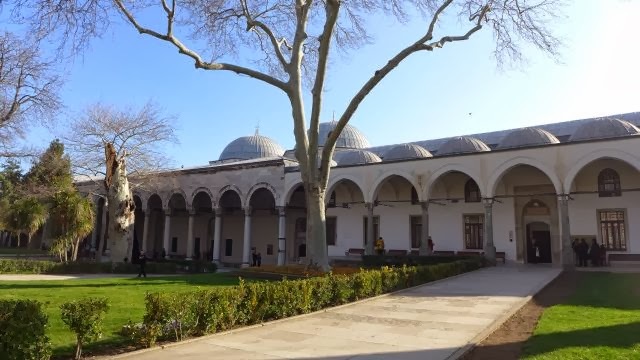 It was originally a Greek Orthodox church, then converted to a mosoque during the Ottoman period, and finally a museum in 1935 after the formation of the Republic of Turkey. 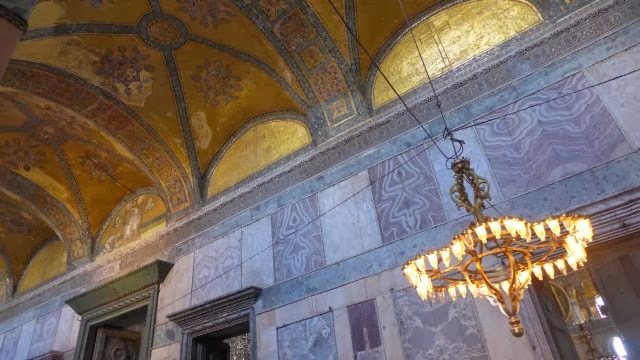 This is the only place in the world where one can view the depiction of Mary and Jesus Christ the child side by side with the calligraphy art of the words Allah and Muhammad. A bit of interesting history taken from Wikipedia: It was constucted in 537 and served as an Eastern Orthodox cathedral until 1453, except from 1204 to 1261, when it was converted into a Roman Catholic cathedral under the Latin empire. 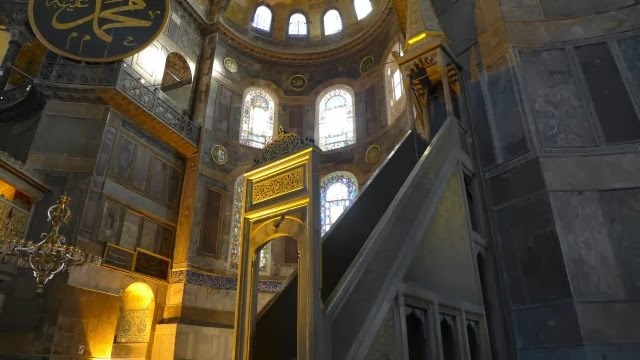 In 1453, Constantinople was conquered by the Ottoman Turks under Sultan Mehmed II, who ordered the main church of the Orthodox Christianity converted into a mosque. 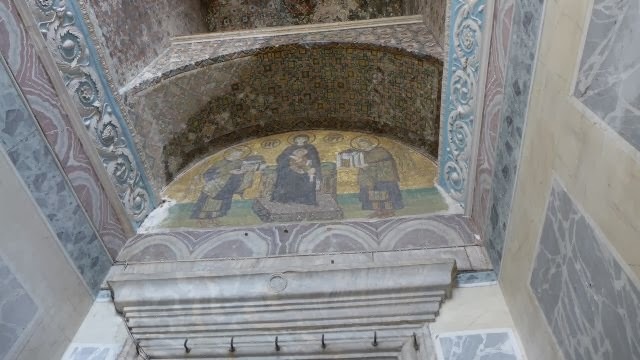 The interior surfaces are sheathed with polychrome marbles, green and white with purple porphyry, and gold mosaics. 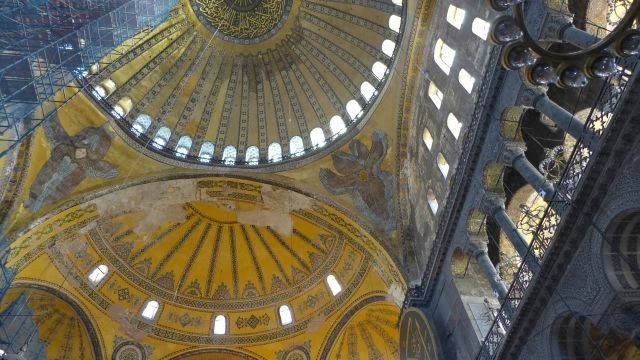 Hagia Sophia is famous for the light that reflects everywhere in the interior of the nave, giving the dome the appearance of hovering above this. This effect was achieved by inserting forty windows around the base of the original structure. Moreover, the insertion of the windows in the dome structure lowers its weight. 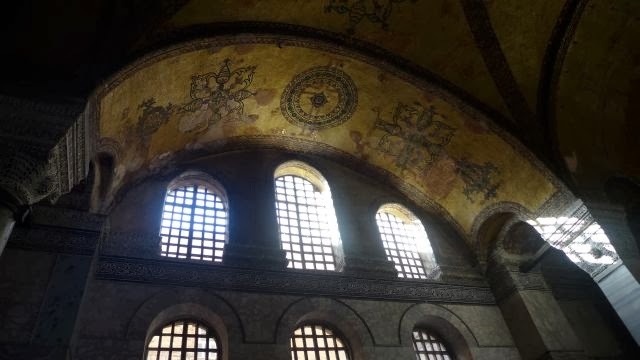 From the Aya Sofya museum we then walked to the Dubb Indian restaurant for lunch. Ah yes, we were having Indian meal for lunch. We had curry chicken, spicy panner, dhal, white rice, salad and Indian yogurt. 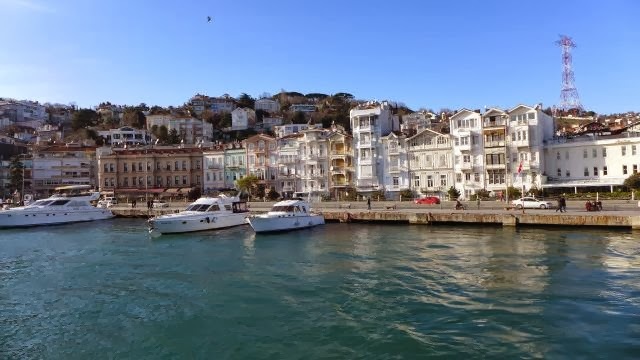 After a hearty lunch, we made our way to the ferry docks near the Galata bridge at the Golden Horn area on the Europe side for the Bosphorus cruise on our private boat. This was an Optional tour so we had to pay an extra USD60. 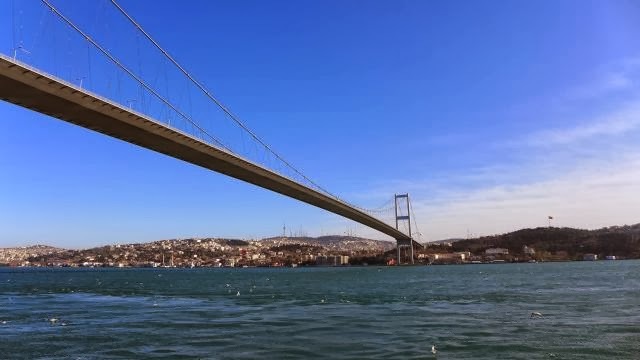 But I thought it was worthwile for the scenic view of both side of Istanbul – the Asian and European side. There was sun, but the weather was cold and breezy. 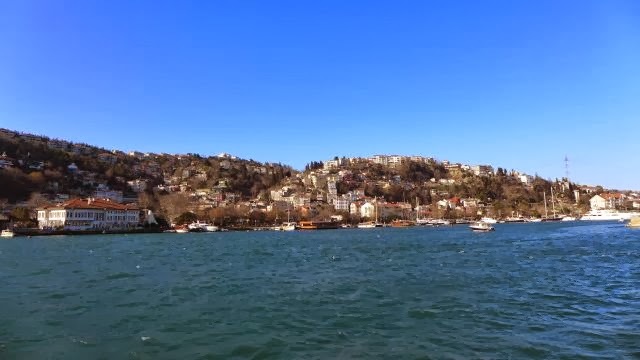 On our cruise along the Bosphorus Strait between the Marmara and Black Sea from the Galata bridge we passed by Galata Tower (or Karakoy), Topkapi Palace, Dolmabahce Palace, Ciragan Palace, Ortakoy neighbourhood on the European side near the Boshporus Bridge; turning back passing by Beylerbeyi Palace, Uskudar neighbourhood on the Asian side and back to our starting point. The cruise took about 1.5hours. We were supposed to pray at the Mosque of the Ayyub Al Ansar which was supposed to take only about 15 mins drive from the pier. 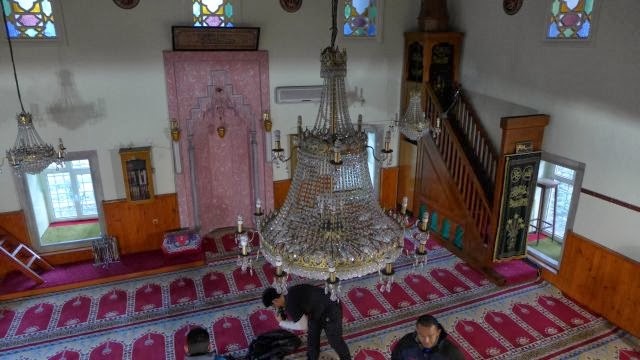 But the traffic jam was really bad so we had to divert to a much smaller mosque – Mahmut Efendi Camii which was built in 1540, also by the famous Mimar Sinan. So all was not lost. After solat, we made our way for an early dinner at Bodos Balik (seriously) at Sultanahmet area. Since I was still full, I didn't eat much. After dinner we were brought back to our hotel and it was free and easy time for those who wanted to do last minute shopping at Taksim Square area. Tonight my mom joined us as she still had to buy some Turkish coffee and desserts for souvenirs. Liza also did hers for some last minue T-shirt shopping. Back to the hotel, we packed our bags with the plethora of souvenirs – luckily we could fit everything in our luggages! 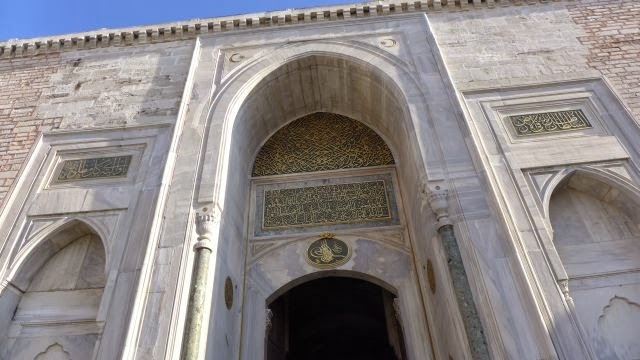 Tomorrow after breakfast, we would check out at 8am as we would be visiting Ayyub Al Ansar Camii that we missed today, then saying goodbye to Turkiye, sob sob.